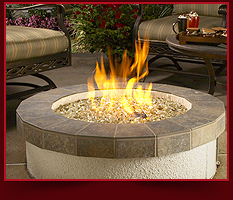 B&G Fireplace and Patio in Canton, OH is the premier place for all your fireplace, grill and patio furniture needs. Our family owned business is 100% dedicated to providing our customers with the finest in fireplaces and accessories, gas logs, grills, and patio furnishings. We pride ourselves on our ability to supply exceptional sales and precise service in a low pressure, friendly environment. Our sterling reputation for superior quality has been built over an exemplary 40 plus years career. Opening in the early 1970’s, B & G Fireplace has since established itself as the premier name in high-echelon fireplaces, grills and patio furnishings with a local touch. Over the decades, and all the changing seasons, we have had the pleasure to interact with so many different clients and turn them from potential customers to loyal friends. We possess the seasoned expertise, personalized attention, and premium inventory the big box stores just can’t match. Bringing our customers the best quality names such as Empire, RH Peterson, Big Green Egg, Kamado Joe, Stoll, Thermo Rite, Broilmaster, MHP, Fire Magic, American Outdoor Grill, Winston, Gensun, Telescope, LLoyd Flanders, Windward Design Group, Treasure Garden, Dimplex and many more. Delivery, installation and in-home service consultation is available. Let us create the look of your dreams! © B&G Fireplace and Patio. All Rights Reserved.